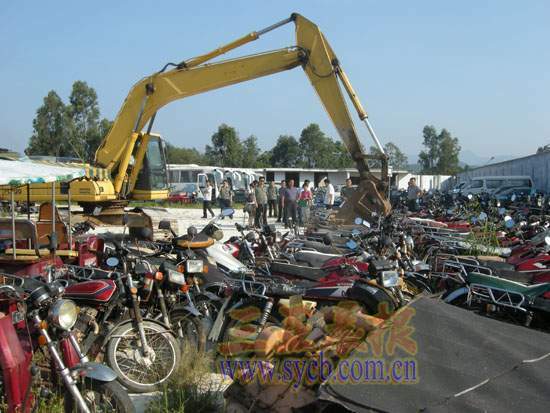 Sanya law enforcement officers has confiscated and destroyed 406 illegal motorcycles by bulldozers in the Sanya Lizhigou Area as part of the city’s commitment to crack down on illegal motorcycles to create a safe traffic environment for the public. These 406 illegal motorcycles, including 141 motorcycles and electric-powered bicycles, were confiscated during the last July to December. The City law enforcement authority said they will take action against illegally ridden motorcycles or electric-powered bicycles which could give rise to road safety risks to the public.